Bringing something new to the mainstream can be tricky. It seems like there’s no set rules for what can go from being virtually unknown to being a household name (see fidget spinners). Especially in this golden age of content, the mainstream hive mind is constantly bouncing from one relevant idea to the next, with the rare gem that becomes a mainstay of popular culture. There is no better example of this than Star Wars, having not only been immensely popular for over 40 years, but being more highly regarded and relevant than ever before in a world where millions of other products are vying for your attention. Now that Augmented Reality is attempting to poke its head into the mainstream, is it enough to have the Star Wars beast behind it for it to succeed? Let’s take a look at we know and see what evidence there is to predict where AR is going. What is Star Wars: Jedi Challenges? 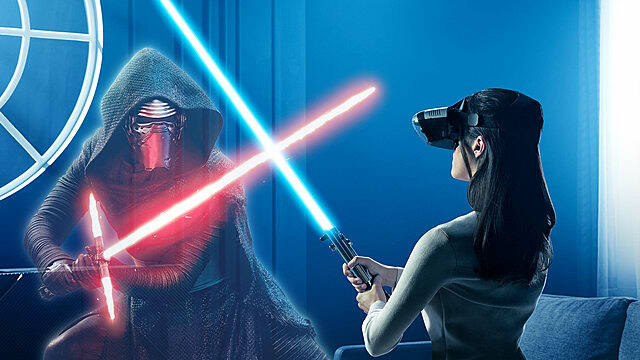 As part of Force Friday II it was revealed that Lenovo and Disney have teamed up to create Star Wars: Jedi Challenges, an augmented reality Star Wars smartphone app promising an experience to fans like nothing we’ve had before. Jedi Challenges will feature up to 60 hours of gameplay in its different game modes, each offering “multiple levels of deep and immersive gameplay”. The first mode is “Lightsaber Battles”, which pits you in intense lightsaber duels against moody Vader wannabe Kylo Ren, and his grandfather and Lord of the Sith, Darth Vader. These characters appear as Star Wars style holograms, and as Lenovo have stated that the app will be continuously updated with both free and paid content, I expect more villains and heroes of the Star Wars universe to be added. Hopefully as well as characters from the films, they’ll draw from some of the extended universe content, such as The Clone Wars and Rebels animated series’. 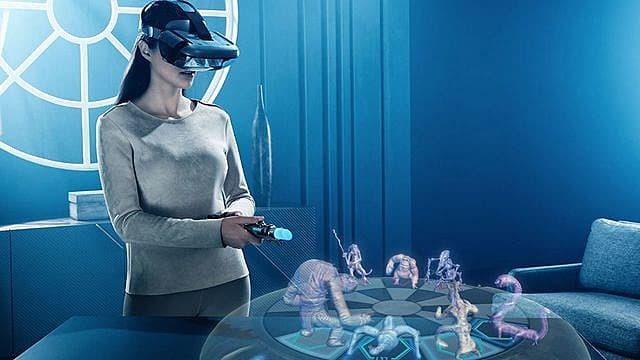 “Holochess” is another mode Lenovo have announced, which lets you play the barbaric chess like board game, Dejarik, seen being played by Chewbacca and C3PO in Star Wars Episode IV: A New Hope. Finally “Strategic Combat” lets you oversee real-time strategy style battles controlling forces of the Republic, Rebel Alliance, and Resistance to defeat the Separatists, Empire, and First Order armies. Available in November for $199.99 in the US and £249.99 in the UK, this tidy investment gets you the Lenovo Mirage AR headset, Tracking Beacon, and Lightsaber controller. To get started you’ll need to download the Jedi Challenges app onto your smartphone, which can then be inserted into the headset. The Tracking Beacon is placed on the floor and keeps track of your movement via its connection to the headset’s sensors. Then you can use your lightsaber hilt, which when activated, will emit a laser beam that you can swing around simulating the famous sci-fi weapon. Augmented reality is digital information overlaid on top of the real physical space around you, which provides us with an output that is either useful or entertaining. Although it may seem difficult to fully grasp what AR is, it becomes easier to comprehend once you realize that you've probably already encountered or even used AR in some form or another. Ever used Snapchat or Facebook’s camera filters to turn yourself into a dog/human hybrid or to distort your face in silly ways? Then you've used Augmented Reality. If you’re reading this, statistically speaking, you've probably played Pokemon Go, which uses augmented reality to make it seem like that Growlithe you’re trying to catch is actually sitting on your desk. There are apps available today which use your smartphone camera to see what furniture would look good in your new living room, how a tattoo would look without having to take the plunge, and some even translate languages on your screen in real time. Some might dismiss AR as just a novelty technology used for games and other silly applications, but augmented reality is already being used in real world applications in the fields of business, medicine, and even in the military. It may be being brought to the attention of the mainstream media now because of a huge franchise like Star Wars, but it's been poised to make waves for a while now. I don’t think Star Wars alone is enough to be the driving force behind AR being cemented in popularity in the mainstream. This isn’t to say AR won’t become popular, on the contrary, I believe it will be a driving force behind the unavoidable eventuality of human/technology integration. This may sound like some far-fetched Deus-Ex nonsense, but if you really think about it, it’s the next logical progression for our species. And I'm not alone in thinking this. Google and many other technology companies are in an arms race experimenting with AR, towards one of many possible goals of being able to develop implants that could improve our way of life. Last year a Google patent was revealed to have the idea of replacing the human eye’s natural lens with an electronic implant. 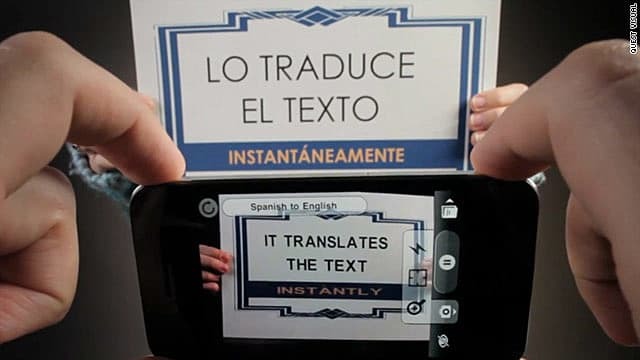 Now take the language translation app I mentioned earlier, pairing the two technologies, the user would be able to instantly read any language they see, and that’s just the tip of the iceberg. 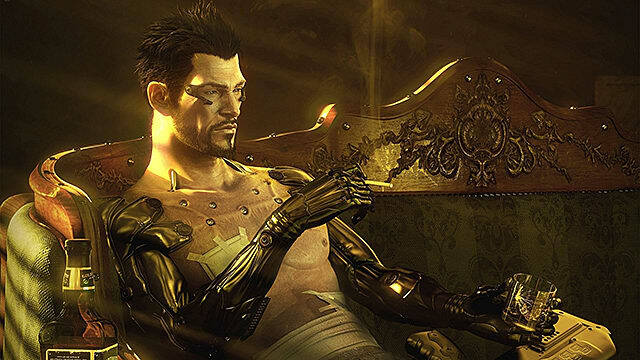 It’s a scary thought that we could someday live in a world where this type of human augmentation takes place, but don’t worry, we’re still years away from even being close to this level of AR, so you won’t see any Adam Jensen-esque Augs sneaking through air ducts any time soon. Using Star Wars as a launchpad is a smart move on Disney’s part because it’s already caught the attention of the media and has temporarily cast a spotlight over the AR field. This gives them some space to see where the market is at in terms of mainstream acceptance. With any success I'm sure they’ll use this technology in conjunction with some of their other properties such as Marvel or their animation library. Here’s the thing; just because it’s a Star Wars game, does not mean it will be any good. Star Wars has a track record of having either marvelous games that are widely adored, or absolute stinkers that made millions of fans cry out in terror. 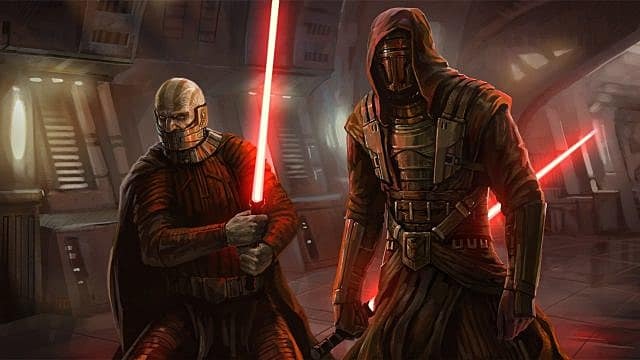 Knights of the Old Republic is one of the best games ever made and I don’t care what anyone says. It was a perfect example of how best to use the license, and nothing has come close since. Star Wars Episode I: Racer was another great game, capitalising on what many thought was the only good thing about The Phantom Menace. They’re wrong of course, I love that movie and I won’t hear a bad thing said against it. Unless we’re talking about Jar Jar; I think we can all agree there. On the other hand, you have games like Masters of Teras Kasi, which although included characters from the Expanded Universe, was just abysmal. By all means, make a Star Wars fighting game (seriously, please make one), and throw cool nods to the EU, but it was as if no discernible effort went into shipping a quality product. Last but not least I’d like to mention 2015’s Star Wars Battlefront; the most beautiful Star Wars game to date with amazing sound design and attention to detail. However that doesn't save it from being a shallow experience once you get over the initial excitement of playing a new Star Wars game. EA received more fan ‘feedback’ than Anakin Skywalker has midichlorians and thankfully it seems they've taken it on board for Battlefront 2. So hopefully the full experience will be something more akin to the games that they're actually supposed to be based on rather than just taking the name and disappointing fans when they realise that it's actually nothing like the original. Except for Pokemon Go you might be hard pressed to think of any other AR games that achieved anywhere near this level of attention, let alone any other AR games at all. That's because there really aren't that many great Augmented Reality games out there right now. If you're interested though, here's a couple of smartphone games that might be worth checking out. Ingress - Niantic's Pokemon Go template uses essentially the same mechanics; go to a place in the real world, capture a point, earn XP. Ingress' setting sees Earth being seeded by a substance which has ties to an alien race with the player choosing whether to embrace a new chapter in human evolution or fight to protect humanity's freedom. Zombie Go - Using your phone's camera, look around your area to survive from and hunt down zombies. That's really as deep as this one gets, with the appeal being that you can experience the zombie apocalypse in real life...kinda. Ghostbusters Paranormal Blast - If you're a fan of Ghostbusters then this should be right up your street. Rid your city of evil spirits by trapping ghosts for containment and collection, including Slimer and the Spectral Librarian and few more creepy ghouls. I don't think Jedi Challenges will take AR mainstream, but that's no fault of its own. By all accounts it seems like a great game, but AR just isn't ready for the mainstream yet. It's up to games like this to push the boundaries of what is capable in terms of a fun, engrossing AR game. What do you think? Let me know in the comments below! If you think I'm completely wrong, I'd love to hear why. For on Augmented Reality, stay tuned to GameSkinny. Will Lenovo's Star Wars: Jedi Challenges Be Enough to Take AR Mainstream?